A decisive turning point for Maserati, the outcome of a process designed to mark a break with the past in terms of design and engines. New engine, new body, new gearbox, new transmission. These were the principles behind the new Maserati, introduced at the Frankfurt motor show in 2001. The Spyder was created under the new Ferrari ownership, as is evident in the installation alongside a conventional 6-speed manual gearbox of an automatic F1-derived transmission on the steering wheel. 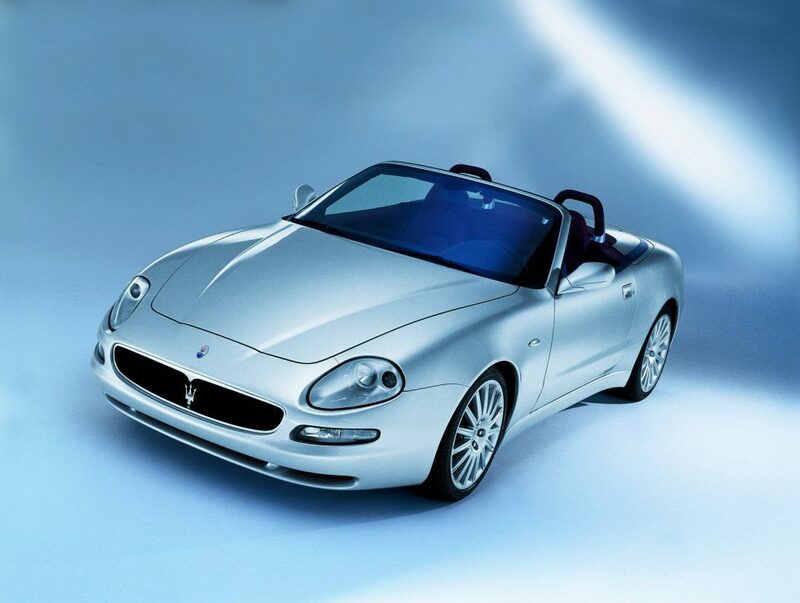 The lines of the Spyder emphasise the distinctive elegance of Maserati cars and the outcome is a dynamic car with compact dimensions. The chassis is 220 mm shorter than that of the coupé. Distinctive features include body-colour roll-bars fitted behind the head restraints and large tail light clusters. At the front, the grille features a chrome trident while the historical oval Maserati shield is applied to the bonnet.